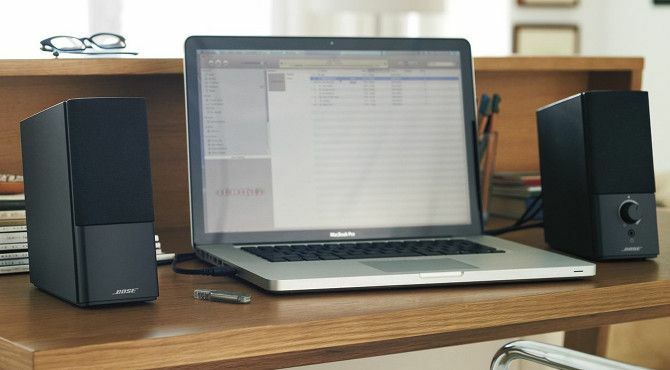 These days, integrated speakers are common in both laptops and computer monitors. But regardless of how expensive a laptop or monitor is, an internal speaker rarely sounds good. 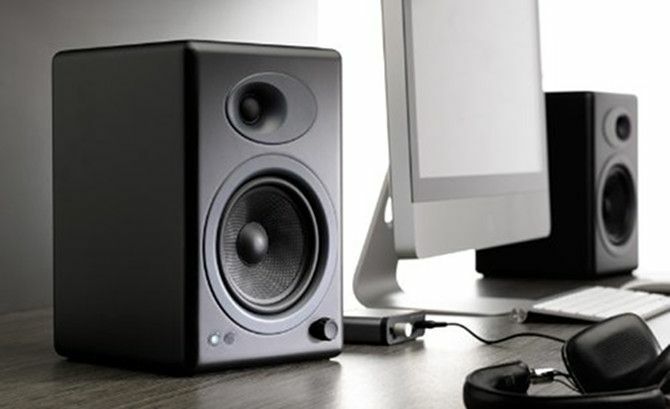 A set of desktop speakers is better because they aren’t confined by the space limitations of a laptop or monitor. This extra space allows them to include amplifier components, which are crucial for producing a high-quality sound. But good desktop speakers aren’t cheap! 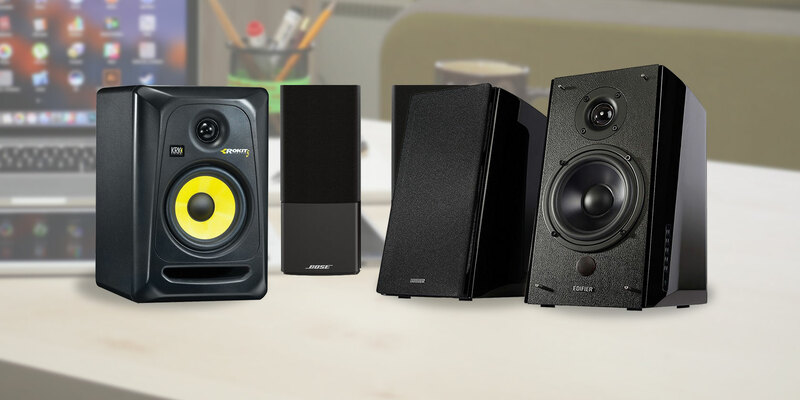 In this article, you’ll find several desktop speaker recommendations for getting the most bang for your buck, with a lean toward prioritizing sound quality over cost savings. The Audioengine A5+ is the priciest option on this list, and it certainly earns its tag. Would you expect a larger range of frequencies when paying this much? Sure. But it delivers such an incredible level of quality that it doesn’t quite matter—the bass serves a richness that doesn’t drown out everything else, and the treble is distinct without being obnoxious. It comes with a 3.5mm stereo cable, an RCA cable, and a power cord (it can also be powered using USB if you wish). The included remote control is a nice bonus. The Audioengine A5+ will serve you well in all things, including gaming and multimedia. The Edifier R2000DB is a strong runner-up to the Audioengine A5+—only slightly worse in most respects, but drastically more affordable. In fact, unless you’re an audiophile of the strictest kind, you may not even notice the differences in day-to-day playback. It produces a clean and full sound across its entire frequency range but is especially pleasant in the middle, making it a good choice as an all-around versatile option. The Bluetooth and optical connections are nifty as well. Logitech is one of the most consistent product manufacturers of all time, and the Logitech Z623 is yet another notch in a belt full of affordable high-quality products for regular home users. With one RCA and two 3.5mm jacks, you can listen on up to three devices. Though the Z623 is meant to be a mid-range speaker for all-around use, the 7-inch bass driver can really pump up the bass when necessary. You won’t find a better value at this price. Two alternate models also exist: one with a Bluetooth adapter and one with an optical input. Unfortunately, you can’t get the Z623 with 3.5mm, RCA, Bluetooth, and optical inputs. 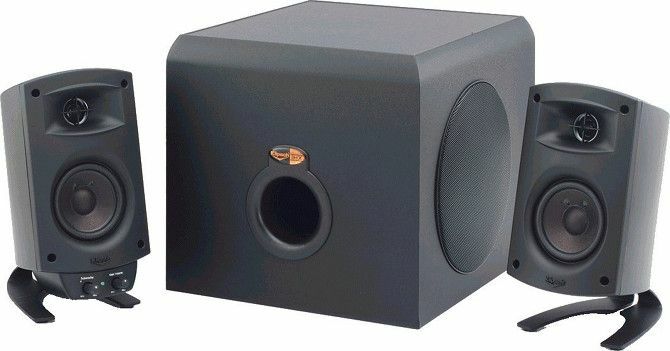 Released way back in 2000, the Klipsch ProMedia 2.1 was one of the first desktop speakers to be THX certified, meaning it can deliver a sound quality that’s on par with home entertainment theater systems. This is a top-notch choice for fans who love streaming TV shows and movies. Though the frequency range is a bit narrow, the sound reproduction is very good all throughout. Don’t let the fact that it’s almost two decades old turn you away. It’s still a solid pick. If you want top-shelf quality with plug-and-play usability, then look to the Bose Companion 2 Series III. At just over 4 pounds, it’s easily the most portable option on this list. Of course, that’s only possible because it lacks a subwoofer, but don’t let that turn you off. For such compact speakers, the sound of the Bose Companion 2 Series III impresses, particularly in the rich bass frequencies. Though the sound quality falls off a bit in the higher trebles, it’s still far more bearable than most computer speaker sets. 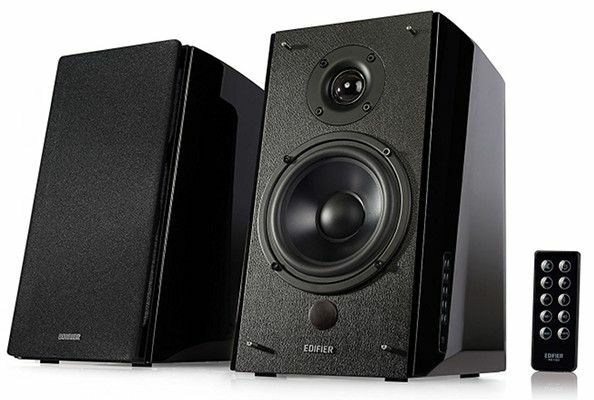 It’s one of the best computer speakers under $ 100. The KRK RP5 G3 boasts an incredible range, particularly in the upper frequencies, yet stays crystal clear and without distortion across most of that range. It has three rear knobs: a high-frequency adjuster (which existed on the RP5 G2), a low-frequency adjuster (which is a new and welcome feature), and a volume adjuster. 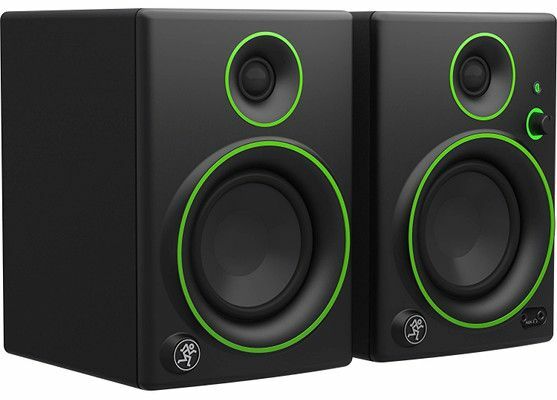 While you can use these speakers with a computer, the RP5 series is best known for its audio mixing fidelity, making it a top choice for DJs and musicians. You can rest assured knowing that you’ll get great sound quality with these. One thing to notice about the Mackie CR4BT is that 70Hz is its lowest bass response and the bass driver is only 4 inches—both unseen in other speakers around this price. But somehow it sounds pretty good. Points in favor of the Mackie CR4BT: excellent bass and treble, a wide variety of common input types, and lightweight construction. Its main drawbacks? Subpar mids and enough distortion that true audiophiles might pick up on. 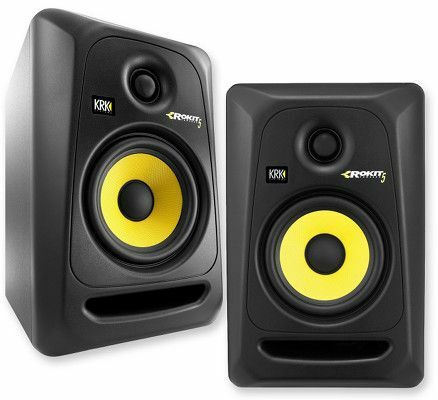 If the price of the Mackie CR4BT is a bit too much, consider grabbing the Mackie CR3 instead. 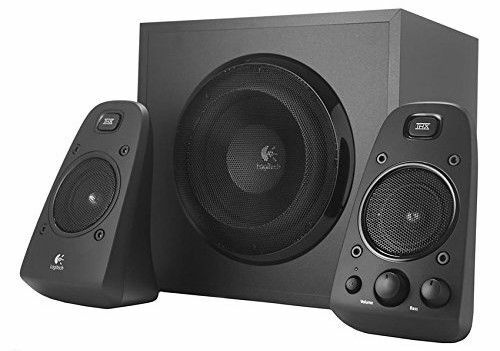 It has an even tighter frequency range starting at 80Hz and lacks Bluetooth connectivity, but is a little less than half the price and sounds nearly as good. Which Desktop Speakers Will You Get? You’ve got a lot of options, and you can’t go wrong with any of them. And yes, good-quality speakers are just as important for Mac sound quality as they are for Windows. While the integrated speaker in an iMac isn’t bad, for example, it still pales in comparison to an external speaker. If you’re replacing older speakers, don’t let them collect dust in a closet. Check out our article on ways to repurpose old desktop speakers and get some more value out of them!